OKAY guys. 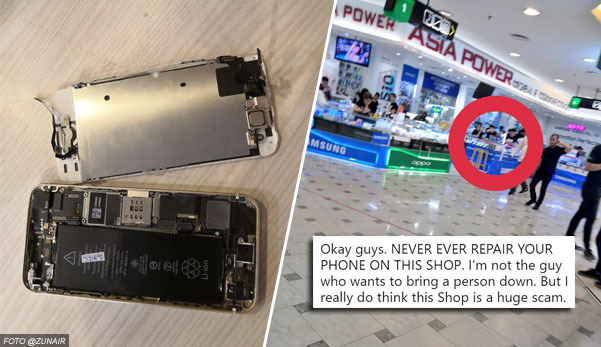 Never ever repair your phone on this shop. I'm not the guy who wants to bring a person down. But I really do think this shop is a huge scam. So the store like, "Come come cheap price". My intention was just to survey. So I asked him how much to change the home button? Dia kata RM150. I was like, mahal la juga kan. Cuz I saw orang tukar screen kat Insta and stuff, baru RM80+. Then I said nevermind la. Then he said, "Give me your price range". I also bantai sajalah, I said less then RM100. Then he said, "I can give you RM80". I was like wow, cheap. So I said okey la. 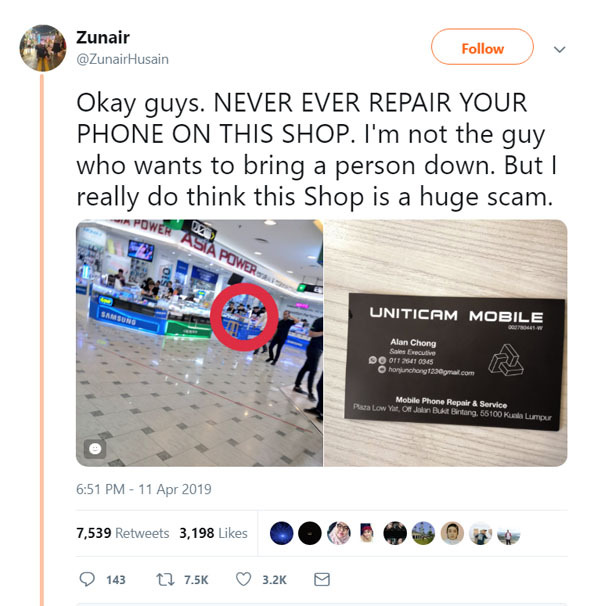 After that, I went to a store which I personally know that shop sebab pernah repair kat situ previously and he's kind and helpful. (Ini untuk repair laptop). Then around 20 minutes passed, I went down to check on the phone. Sekali the phone punya condition looks like this. Then he said kena tukar the whole set which was around RM300. Then I said no la, because I'm not even using it. I said, "Takpelah, tak payah repair". 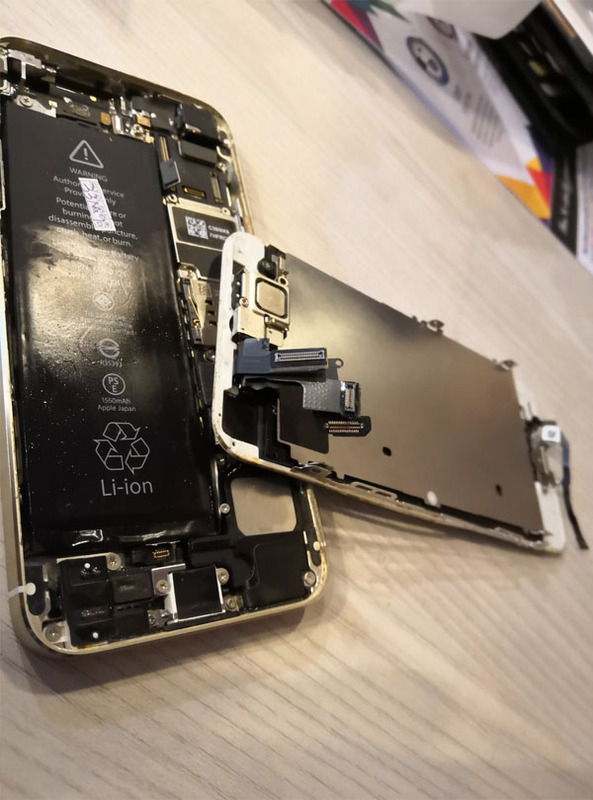 He said, "Takyah repair takpe, but bayar RM130 dulu" (because he apparently 'bought' the home button together with the ribbon. So dia dah beli, he expect me to pay for it". When initially I asked for the home button which initially was RM80. Long short story, I paid RM100 cuz don't want to make a scene and he change the home button together with the ribbon. Tapi tak pasangkan the screen because dia cakap screen dah pecah. I pun reda saja la. Cuz ada fikir juga what if really pecah the moment I gave him. Another fun fact kat Low Yat. They always say nak ori atau local. The kedai I repair laptop tu, the guy cakap kat Low Yat tak ada ori atau local. Semua sama saja (local). Again guys, because of one guy punya action, we can't judge them all. Ada yang betul-betul mencari rezeki.